On a nice spring evening after a long day of work, I love quickly mixing a nice refreshing cocktail. Something balanced - not too sweet and not too tart - that’s kicked up a notch by some of the spring’s bounty. 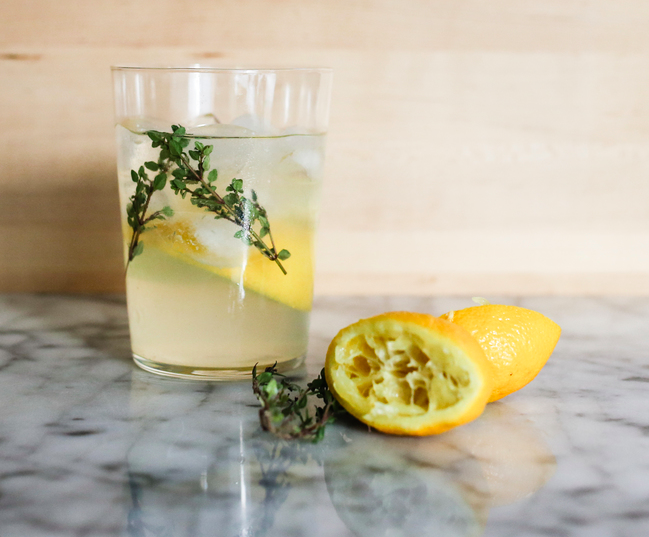 This thyme lemonade with a vodka base is a perfect way to go. Be warned: pace yourself, it goes down really easily! 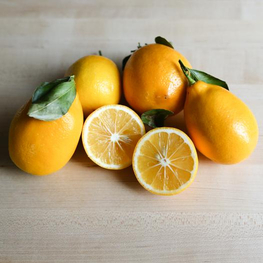 Run 1 lemon wedge over the rim of a 12 oz highball glass; dip the rim into sugar. Reserve the lemon wedge. Put the remaining 2 lemon wedges in a cocktail shaker. Muddle hard, breaking the lemon skins to release their oils. Add Syrup, Vodka and Ice. Cover and shake. Pour the mixture into the sugar-rimmed highball glass, lemon wedges and all. Top off with club soda, the squeeze the reserved lemon wedge over before dropping it into the glass. Garnish with the thyme sprig and serve immediately.